Serial is a podcast designed to be listened to in order. If you're just landing here please go back and start with Episode 1. 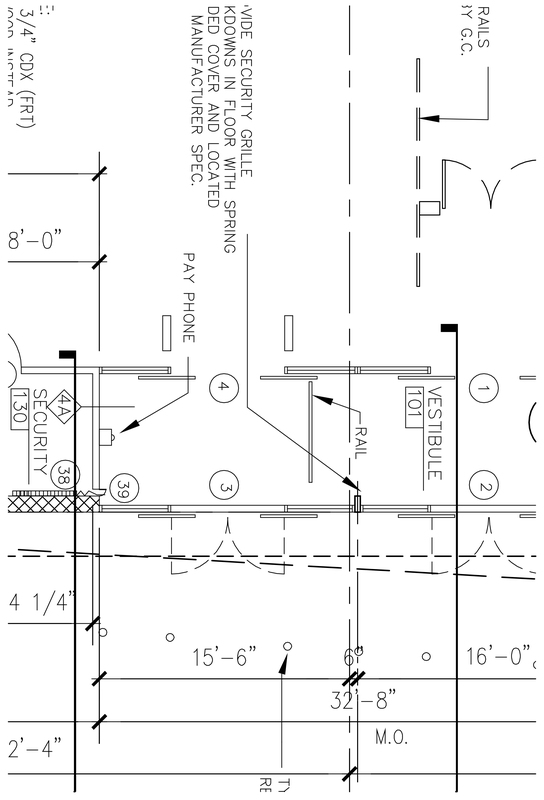 These architectural plans for the Best Buy on Security Boulevard date from November, 1994. They indicate a place for a payphone in the vestibule. 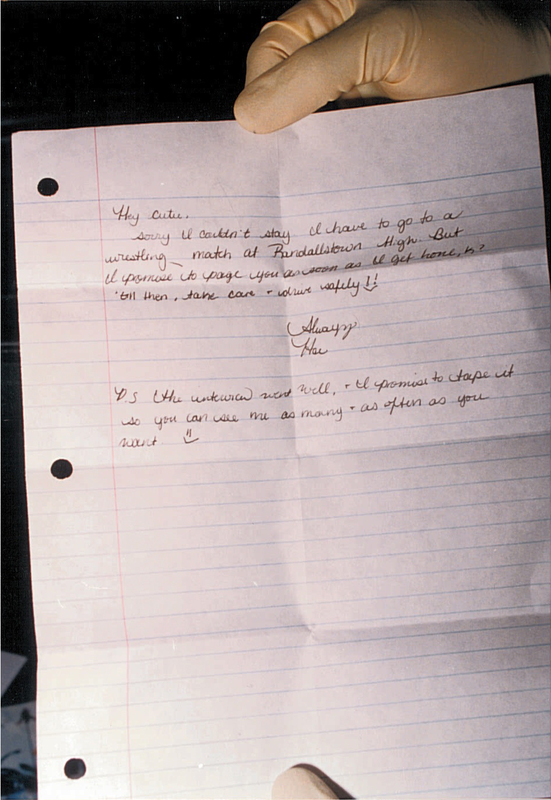 Detectives found this note from Hae to Don in Hae's car, when they recovered it on February 28, 1999. Possible timelines of the events of January 13, 1999, based on Adnan's memory, court records, and three of Jay's statements: his first two recorded statements to the police and his testimony at the second trial. A map of the relationships between some of the main people in the story. 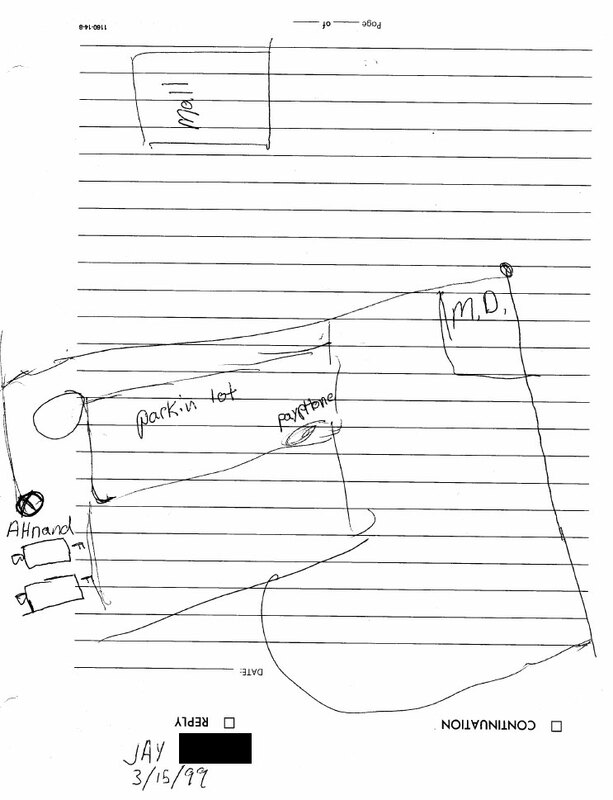 A map Jay drew for detectives of the Best Buy parking lot during his March 15, 1999 interview. There are a few pieces of evidence we haven’t been able to track down these last 15 months. Click on the image to see a larger version of the timeline.